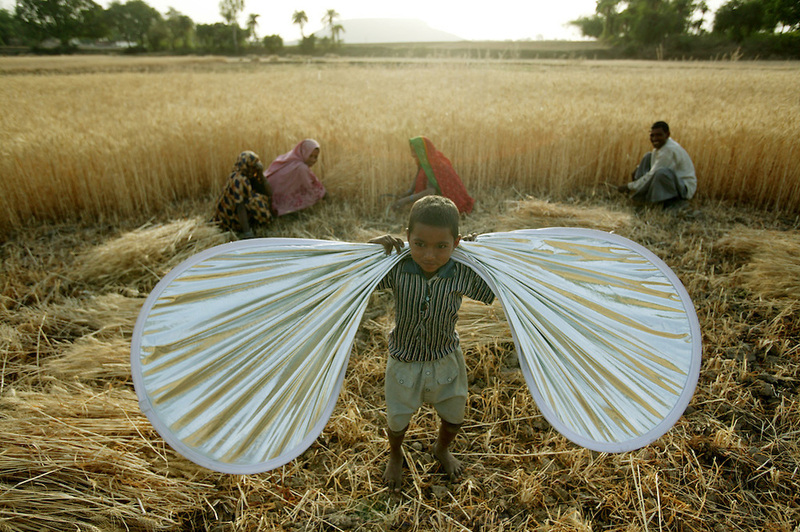 IND.MWdrv04.127.x..One of the Mishi's youngest children plays butterfly with a photographic reflector as her mother and extended family harvest wheat in Ahraura Village, Uttar Pradesh, India. Revisit with the family, 2004. The Yadavs were India's participants in Material World: A Global Family Portrait, 1994 (pages: 64-65), for which they took all of their possessions out of their house for a family-and-possessions-portrait. Work. Children, Child..